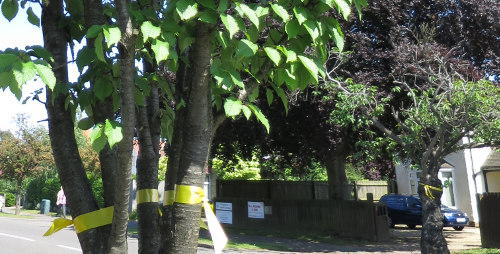 To show how much we appreciate the trees along Milton Road, we have tied a yellow ribbon to every tree on the road. 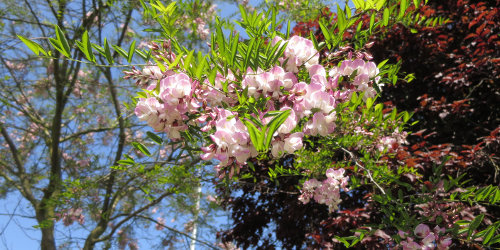 We do not want the City Deal to remove over 100 trees on Milton Road and we hope the ribbons will get the trees some extra attention as they burst into bloom this summer. 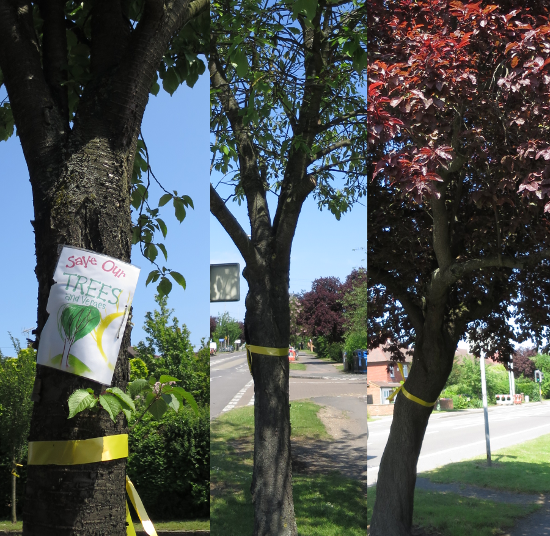 The trees along Milton Road have been adorned with posters demonstrating how the local residents feel about the trees. 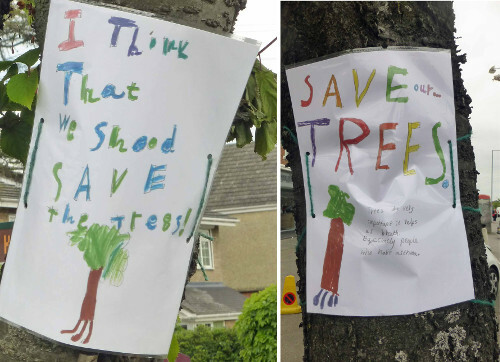 Children and adults have got creative and hand made a whole variety of posters to advertise that we want to Save the Trees. The City Deal held a briefing on this topic for the 'Stakeholders' to attend. Unfortunatly the public was not invited, however, you can watch the full video of the meeting here, thanks to Richard Taylor. Cambridge Association of Architects Gazette, Spring/Summer 2016 article on Milton Road by Kieran Perkins. In preparation for the Local Government Elections on 5 May, along with Hurst Park Estate Residents’ Association (HPERA) and the Friends of Mitcham’s Corner (FMC), we invited all 15 candidates standing in Kings Hedges, West Chesterton and East Chesterton to a public meeting to hear their views on the Greater Cambridge City Deal proposals for Milton Road and the impact on the surrounding area. A full video of the hustings can be found here courtesy of Richard Taylor. A written summary of the evening can be found here. Prepared questions on City Deal issues, based on their responses to a questionnaire recently sent out by HPERA. Written answers can be found here on the HPERA website. 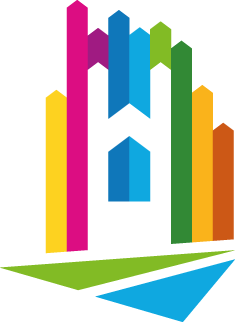 They have suggested a 6-month experimental city-wide residents parking scheme, with options for locals to choose how it would work in their area. This could be a valuable way of measuring the impact of such a scheme not only on free commuter parking in our neighbourhoods, but on congestion generally (which could argue against bus lanes). You can read our response by visiting the Our Response section of the website. We have also handed in the petition, as described in this Cambridge News article, so that it could be taken into consideration for the first stage of the consultation process. However, we are still collecting signatures and the petition is still open.